A second building at the technology campus is beginning to take shape, but not soon enough to host the G8. Despite the fact that Russia went down 11 positions to 62nd place in the 2013 Global Innovation Index, Skolkovo Foundation executives said Thursday that the technology incubator plays an important role in buoying the country's position in such ratings. The index, jointly prepared by Cornell University, INSEAD and the World Intellectual Property Organization, is published annually and rates countries on how their economies facilitate innovation. "There are more than 1,000 startups that are residents in Skolkovo, which have created 13,000 high-tech and research-oriented new jobs, which is very valuable for the economy," said Vasily Belov, the senior vice president at Skolkovo responsible for innovations. He was presenting preliminary results for the foundation's activity in 2013 at the Association of European Businesses headquarters in Moscow on Thursday. "There are more than 30 company-partners who have signed agreements and are on their way to invest in building research and development, or R&D, facilities in Skolkovo. Very soon we expect 3,500 people to be working there," Belov said. The total value of investment agreements signed now stands at 2.5 billion rubles ($71 million), the executive said. Siemens was one of the first multinational companies that agreed to set up an R&D center in Skolkovo. In June last year it opened the center, which will focus on energy technology, biomedicine and IT. The company has been supportive of the whole idea of Skolkovo since it was started in 2010 by then-President Dmitry Medvedev. "It was needed to foster entrepreneurship in the country and was very important for becoming less dependent on natural resources … And we as a major wanted to be part of the game," said Martin Gitsels, vice president of Siemens Russia. Currently, there are 15 engineers working in the center but the goal is to employ 150 and invest more than 40 million euros, the company said at the time of the opening. Among other international firms who have agreed to set up their R&D facilities in Skolkovo are France's Alstom and German-French engineering company Schneider Electric. 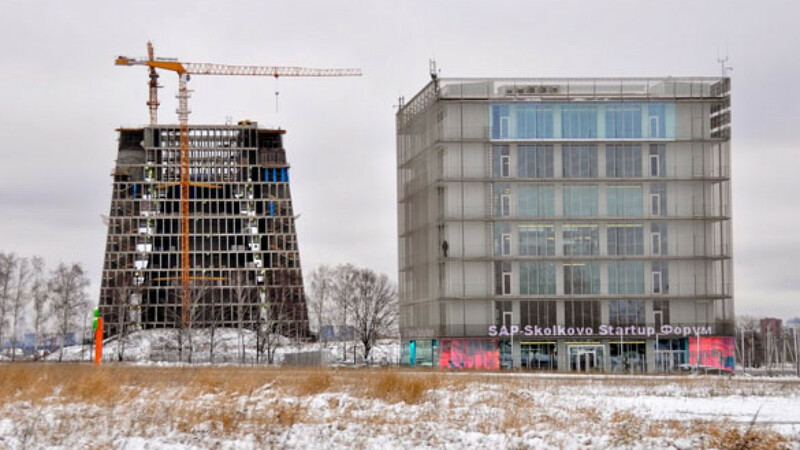 While Skolkovo has been successful in inking deals and getting global firms on board as research partners, the physical facilities there are still under construction. In spring 2012, Dmitry Medvedev's aide Vladimir Kozhin said the Skolkovo campus would be the site of the Group of Eight conference that Russia is to host this summer. But in February 2013 it was announced that the meeting would move to post-Olympic Sochi. The decision to switch venues might be associated with the rate of construction at the Skolkovo site just outside of Moscow. The first facility for housing startups will open in the second half of 2014. And the first laboratories in 2015, the executives said. The Skoltech university campus, which is planned to host 20 professors and more than 80 postgraduate students by 2020, will begin to come on line between 2016 and 2017.